For many years my only shotgun was a Mossberg 590A1 which we keep on the farm for predator defense. 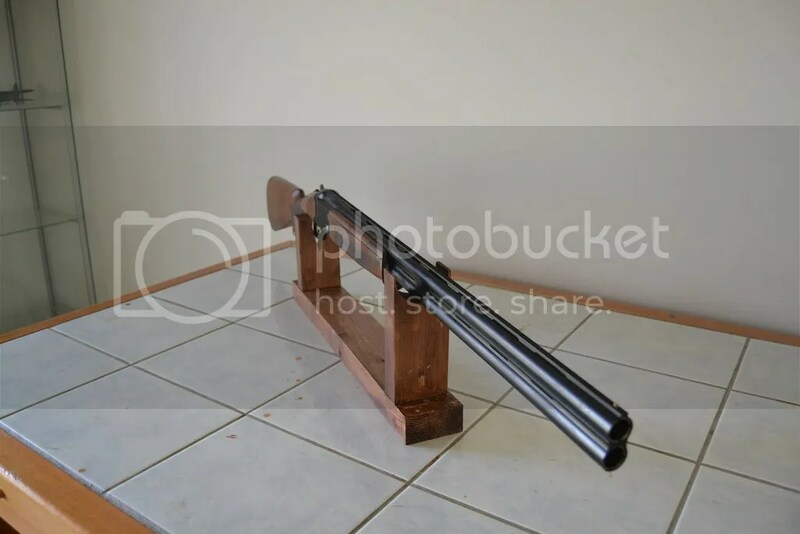 A very solid combat shotgun ( I believe it is the USMC shotgun of choice), the Mossie would also be perfect for any ‘social emergency’ but it really isn’t the ideal tool for many of the applications we often look to address with a shotgun like, for example, providing for one of my favorite in season meals: freshly pan-seared duck ! So, it was that a desire to do some birding and possibly taking up the hobby of knocking down some always in season clays that last year I bought the Stevens 555 over and under shotgun in 12g. 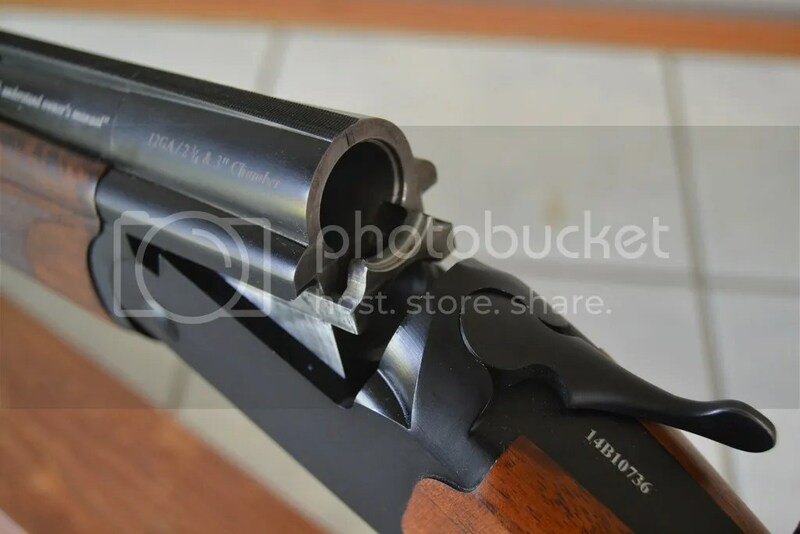 Readers will appreciate that it is quite possible to spend a great deal of money on a sporting shotgun and, indeed, many do just that – in some cases spending more on a shotgun than most of us will on a long-range precision rifle – and for those that do I say “good for you” but for me I just couldn’t justify the expense and so I decided to look for something that was inexpensive, reliable and light enough to, if necessary,carry all day long. By way of general interest background, I’ve read that at one time the J. Stevens Arms Company was the largest shotgun manufacturer in the world and amongst its most famous offerings was to be found the Model 520, America’s first slide-action hammerless shotgun. 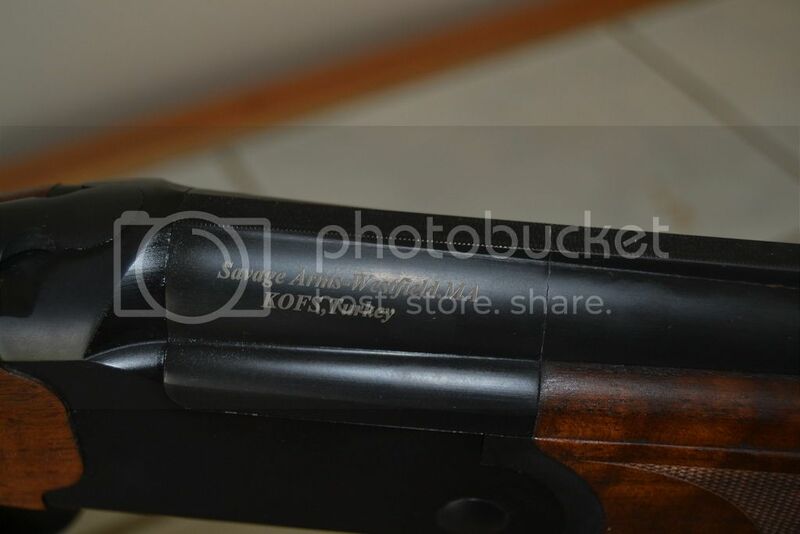 In 1936 Stevens ceased being a separate company and was absorbed as a division of Savage Arms under which the Stevens name developed an excellent reputation for reasonably priced, well-designed, well-built shotguns and in recent years Savage have been importing affordable, Turkish-made SxS’s and O/U’s under the Stevens name. The funny thing about shotgunning ( and perhaps – though I would like to think not – about shotgunners ) is the genuine amount of latent snobbery that surrounds this sport. When I first mentioned to some shotgunning types that I was going to buy a Stevens the almost universal response was one of “oh dear why would you do that – surely times are not that hard that one has to go so low-end”. Now this is totally different to the precision rifle world where while a nice Accuracy INternational or Sako TRG is always appreciated no one is really going to look down their nose at a Remington 700 or Savage 12 that someone brings to the range. Really ? Hmmm, Oh well, different sports……and on with my thoughts……. 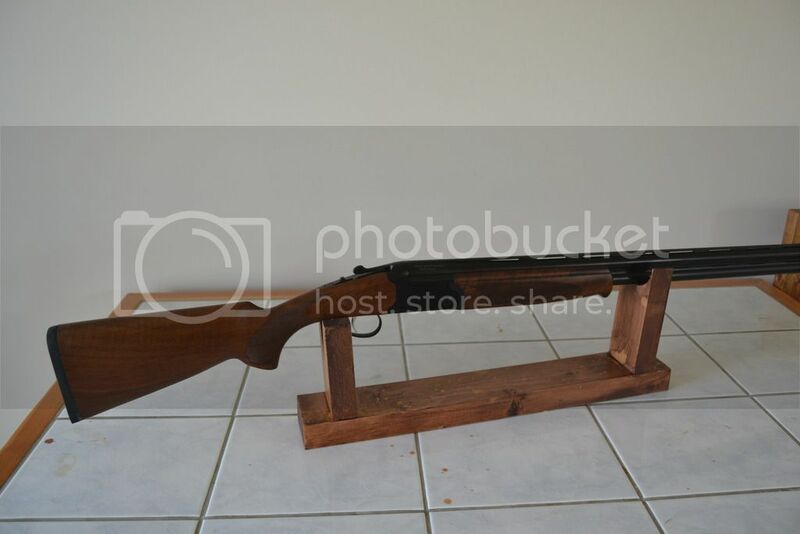 Made in Turkey and available in Canada for just under $700 this shotgun is a well finished and good looking gun. The furniture is Turkish walnut and it has a nice grain to it and the checkering is neatly done and The metalwork is finished in a warm and traditional satin black oxide that was evenly applied and without blemish. In keeping with the usual practice the single selective trigger is assigned an order of barrel discharge by engaging the tang safety and then moving the safety left or right. Simple and easy to use. The Stevens 555 receiver is apparently made of aluminum with steel inserted for strength and durability and the shotgun lifts the spent hulls for hand removal rather than ejecting them like other more expensive shotguns do. For me this is no big deal – as a precision rifle shooter who wants to keep his brass I am used to picking shells out of the receiver by hand ! This shotgun weighs approx 6 Lbs 3 oz and has an overall length of a hair under 45″ which means that I can carry it pretty much all day and it isn’t at all cumbersome to use. The light weigh does mean that felt recoil is a wee bit stouter than my Mossberg 590A1 but it is a small price to pay for the reduced weight and, seriously, we are not talking about a lot of recoil here at all. Sometimes when I read articles about recoil I figure the writers must have spent their entire time shooting guns on X-Box ! When fired real firearms recoil – deal with it. At day’s end I figure that for the money I spent the Stevens 555 is a very solid piece of equipment – well built and so far totally reliable. 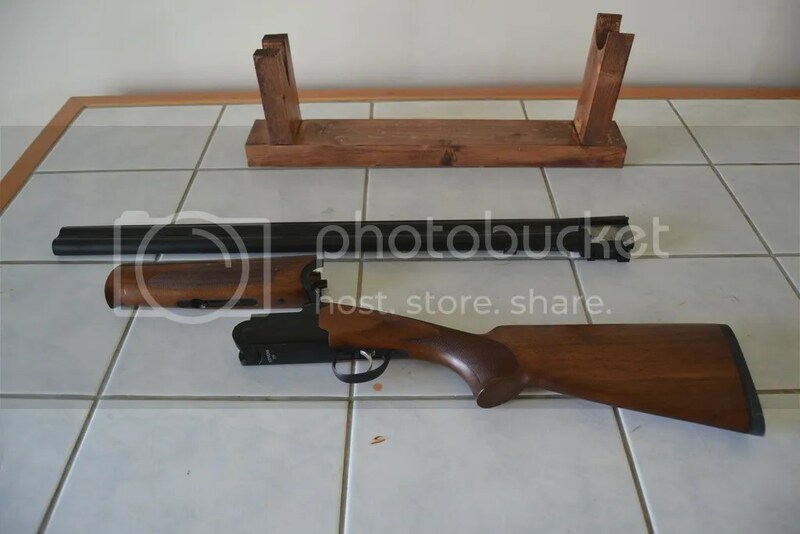 It is an attractive gun without being all fancy and it is something that I feel comfortable carrying in the field with the bonus that if it falls off the quad or gets bounced about in the truck I wont be crying about a dent or a scratch. we go from the economy of the Stevens 555 to the almost stupidly expensive Tangent Theta riflescope which at Can$5300 (yes, five thousand three hundred) really better be something special !